I'm not much for vinyl, but I do have a fair bit of leather left from another project. Thanks for posting! Oops! I forgot one! I added the clutch to the list. 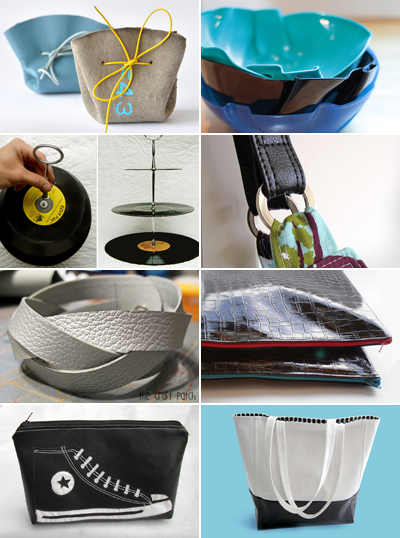 Thank you for including my Vinyl Handbag Straps tutorial! I love your blog. This is a great list. Pinning it. Wow! Thanks so much or including my vinyl clutches! I am in love with the Chuck Taylor pouch!